The Bridge Builders on Vimeo. 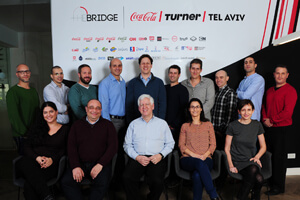 The Bridge Builders is a unique Commercialization Program for startups, acting as a bridge between the entrepreneurial community and major global markets including the US, Europe, Africa/Eurasia and the Pacific. 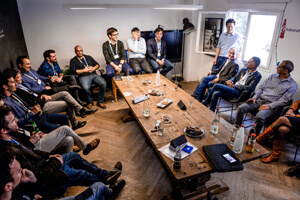 The startups in the program range from early stage to growth startups. They offer software solutions that are ready to commercialize and that fit one of six core themes: Consumer Engagement, Consumer Retail, Supply Chain, Marketing Innovation, IT Infrastructure and Health & Wellness. The program lasts seven months and provides tangible commercial guidance. 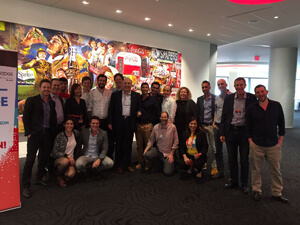 It does so by providing the startups with in-depth marketing training, access to experienced business mentors and connection to Coca-Cola // Turner // Mercede-Benz business sponsors. 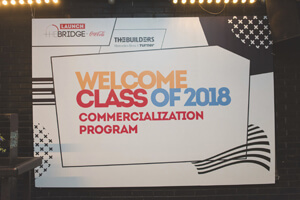 The commercialization process includes an opportunity to pilot within Coca-Cola // Turner // Mercedez-Benz and a chance to license the startup’s product to the companies and/or its partners. The program does not require any equity or IP ownership from the startups. Aspectiva's AI solution analyzes massive volumes of consumer opinions from across the web, turning them into actionable insights and recommendations, empowering shoppers to buy with confidence. Using Natural Language Processing and Machine Learning technologies, Aspectiva leverages Consumer Generated Content to help eCommerce shoppers validate their purchasing decisions, travelers find the hotels that best fit their need and enable brands to drive product roadmap and marketing campaigns. Ezra brings extensive experience in leading successful initiatives from the level of abstract technological ideas to large-scale business solutions that provide significant value to users. Prior to founding Aspectiva, Ezra managed the Text Analytics group at NICE Systems and Served in 8200 – IDF’s Intelligence elite unit. He holds an M.Sc. in Computer Science and is the owner of publications and patents in the fields of Natural Language Processing (NLP) and Machine Learning. Cyabra defends leading brands and public identities against disinformation attacks on social media platforms. Our product elevates the "real truth", provides exceptional insights and deals with the threat at its earliest stage. The company consists of a team with a strong legacy from the IDF (Israeli Defense Forces) Special Operations Department, over 25 years of cumulative experience in cybersecurity & intelligence gathering, and board advisors such as Ram Ben Barak (former Deputy Director of the Mossad). The main target audience: Marketing, Communications, PR, Security and Corporate Affairs (when related to "grey market" or counterfeit). Before founding Cyabra, Dan held positions in business development and marketing in leading companies (Google, Deloitte and IDI Ventures). Dan obtained his B.A in Business Marketing at IDC. While he was born and raised in Paris, he recently got married to his Argentinian spouse who's fantastic at cooking Italian food. Edgybees is the developer of augmented reality software for full motion video (Drones, Auto's and CCTV). The augmented reality software provides drone operators with unparalleled situational awareness to maximize the effectiveness of aerial operations. First proven in post-Irma Florida, Edgybees has rolled out this augmented reality technology for fire, police, and public safety pilots as a powerful control app. 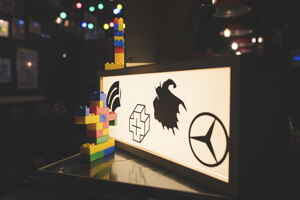 Edgybees augmented reality applications are powered by a stack of proprietary and patent-pending technologies. The Edgybees AR platform is available to 3rd party developers. Adam Scott Kaplan is the CEO and Co-founder of EdgyBees. Adam co-founded and served as an executive in a variety of technology companies. Among these companies include Xennex Inc., a “Google” of genomics databases (acquired by Biotime Inc.), Athoc (acquired by Blackberry), Digital Guardian and Tonian (acquired by Primary Data). Adam graduated with honors from Occidental College with a Bachelor of Arts in Diplomacy & World Affairs and Economics. Emaze is the next generation of digital content creation, empowering millions of users to make an amazing impression through design and technology every day. Emaze state of the art HTML5 technology eliminates the need for any knowledge of coding or web design, and provides a host of user-friendly tools that enable the addition of live social media feeds, photo and video content, web pages, gifs, shopping and more. Users can utilize our innovative features that include 2D and 3D slides, pan and zoom transitions, animation, sound effects and analytics tools. Emaze empowers the everyday creator to be simply emazing. David Edri is a leading ad-tech and social media entrepreneur and executive with over 20 years of industry experience. David is currently the CEO of Emaze, an online content creation software with patented automatic design technology. David was a founding team member of RadiumOne, an online marketing platform, founder and CEO of Formove.com, an online marketplace, and the founder and CEO of 123Out.com, a social network that connected entertainment communities. FANS-LEAGUE allows fans for the first time to actively participate in the world of sport not just as spectators, but rather as competitors. The company is creating a gaming environment that makes fans as individuals and as parts of a community the center of the game, by allowing social interactive and competitive environment for fans of all teams to compete and express themselves. FANS-LEAGUE competition is a new sport-ecosystem involving sports fans, brands, media companies and professional leagues deriving from the competitiveness, passion and engagement of fans. Before founding FANS-LEAGUE Omer served as an officer at a top intelligence unit at the IDF. During his service he was initiating, leading and executing complex intelligence projects, including projects with significant technological aspects. During his service Omer was awarded the title of personal excellence by the Chief Intelligence Officer. Omer is a true sports fan and a member of the Hapoel Jerusalem BC fans organization. HEAT is pioneering the hybrid approach to AI, where human and artificial intelligence is intertwined together into one service, for accurately processing data. The idea is that whenever the AI "fails", a human kicks in and takes over the task. To make this all work smooth, HEAT operates an internal workforce of people from all around the world, organised in a way that guarantees availability of a human brain whenever required. Companies, ranging from start-ups to large enterprises apply HEAT's Hybrid AI engine for various business needs including: document processing, lead enrichment, content moderation and more. Yigael is a serial entrepreneur in the last 10 years. His previous company, Appixia, exited to Wix in 2014, three years after its inception. Prior to becoming an entrepreneur, Yigael served for 10 years as an officer in 8200. Yigael holds a BSc in Computer Science from the Technion, and MSc Computer Science from TAU. In his spare time, Yigael likes to cook delicious food and share it. Analyzing millions of different SKUs on monthly basis, we generate daily actionable insights that have an immediate effect on the bottom line. Yuval is the CEO and co-founder of Market Beyond, an innovative provider of Market Intelligence for ecommerce. Yuval has extensive experience both in the startup and enterprise world. Prior to Market Beyond, Yuval founded Myze, helping shoppers use the best credit card. Before Myze, he was a Senior Product Manager, leading Amdocs Mediation into market leadership, with customers including AT&T, Vodafone and more. Yuval holds an MBA from IE Business School and BCs in Computer Science. NeuroApplied helps brand managers and market research managers understand their customers' thoughts and quantify them. Our technology accurately measures the true brand perception of consumers as well as advertising campaign effectiveness. Unlike traditional market research methods, our tool reads subconscious thoughts objectively. It does it in a mobile, quick and convenient way, which is also fun to interact with. We use Neuro-Cognitive science combined with Deep Neural Networks algorithms and gamification to come up with a state of the art method in the realm of Market Research. Lior is The CEO and Co-Founder of NeuroApplied. Before joining NeuroApplied, he served as the VP Marketing & BD at ThetaRay and VP of BD at Allot. Previous positions include AudioCodes VP of Marketing & BD, VP of BD at BridgeWave, and VP of Product at Orckit. Moyal holds a B.Sc. in Physics and Mathematics from the Hebrew University (Talpiot), and an MBA in Marketing from Tel Aviv University (Wharton). Toya is a content creator specializing in Gaming and Media targeting first and foremost the female demographics. Milestones achieved in 2017: raised seed round, became an official partner of Microsoft on Minecraft Marketplace, released first product and now monetizing at growing rate. Our products are with strong leading female characters, all inspired by the lives of pioneering women and designed to inspire and empower girls with a can-do attitude, as they practice strategy, decision making and competitiveness. We offer a variety of role models as well as a challenging gameplay – beyond pink. Anat is a seasoned executive and an entrepreneur with 20 years of experience in media and entertainment. Prior to founding Toya, she was the founder and managing director of Israel's Women's Film Festival, and the chairwomen of the film committee at the Ministry of Education. Anat is a women's rights activist and a mother of two. Holds an undergraduate degree in film and TV and a master's degree in Gender Studies. Weezmo is transforming the world of offline retail by empowering brick and mortar retailers with digital data that increases conversion significantly. Weezmo is a software solution that gathers holistic data about each offline customer across all businesses they buy from - creating a unique profile that gives retailers the crucial insights they need to customize the experience at the right time, increasing their repeat business and sales dramatically. Before founding Weezmo, Shai worked as senior software architect and project manager, having worked with a vast number of customers, ranging the entire spectrum from start-ups to large enterprises and government agencies. He also was Microsoft MVP for the past 8 years. White Raven is creating contextual AR inspirations throughout a passenger’s visual journey. The technology behind White Raven is a real-time visual search engine that allows users to identify locations, businesses and points of interest, by converting them into a virtual real-estate. Our powerful engine transforms physical locations in the passenger’s line of sight into an easy to interpret digital content and enables location-based applications to leverage the connected car virtual space to create a next generation passenger experience. Before founding White Raven (previously Fringefy), Amir was an Israel Air Force Flight Instructor, experienced with AR and VR user interfaces for executing missions in very dynamic environments. Amir holds an MBA from IDC Herzliya, specializing in Corporate Finance and Risk Management.